Today’s post focuses on the U.S. Federal Reserve’s key monetary-policy shift last week, but before we get to that, let’s quickly review why the Fed’s actions matter to Canadian mortgage borrowers. The Bank of Canada (BoC) decided not to raise its policy rate at its January meeting, but reiterated its belief that it would need to continue raising rates to keep inflation near its 2% target going forward. While the Bank emphasized that it would be heavily data dependent and would respond to key developments both at home and abroad, its decision to hold rates steady sounded like a grudging pause. The BoC’s desire to bring its policy rate back into a neutral-rate range, where it neither stimulates nor restricts economic growth, makes sense. The Bank understands the potentially destabilizing systemic risks that have built up during the current period of ultra-low interest rates that began at the start of the Great Recession in 2008. Over that period, debt levels have risen to record highs, asset prices have soared, and investors have taken on increased levels of risk in their chase for adequate returns. The BoC’s biggest challenge in returning its policy rate to its neutral range is that its rate decisions do not exist in a vacuum. It must also be mindful of the impact that outside forces are having on our economy. This is especially true in the current environment because our economic momentum is no longer being fueled by debt-financed consumer spending, which has (rightly) been reined in by a combination of mortgage rule changes and BoC rate rises. Our policy makers are now hoping that rising export demand will combine with increased business investment to offset a policy-induced slowdown in consumer spending. So far, however, this transition has been slow to develop. Against that backdrop, last week’s policy statement by the U.S. Federal Reserve was significant. A full 77% of everything we export goes to U.S. markets, and therefore shifts in U.S. monetary policy can impact the U.S./Canada exchange rate and, by association, our export sales. For example, if the Fed adopts a more dovish monetary-policy stance and/or drops its policy rate and the BoC doesn’t respond in kind, the Loonie will likely appreciate against the Greenback. That raises the cost of our exports to U.S. markets and makes life more difficult for our exporters. Bluntly put, the Fed’s moves can dramatically limit the BoC’s options, even though the Bank is loath to admit that. The Fed assessed that the U.S. labour market “has continued to strengthen” and that economic activity “has been rising at a solid rate”. It observed that “household spending has continued to grow strongly, while growth of business fixed investment has moderated”, and “longer-term inflation expectations are little changed”. In spite of its generally positive overall assessment, the Fed signalled a dovish shift in policy when it said that “in light of global economic and financial developments and muted inflation pressures, the Committee will be patient as it determines what future adjustments … may be appropriate”. The Fed signalled that it would adopt a more cautious, data-dependent approach going forward, clarifying that “the Committee will assess realized and expected economic conditions … [which] will take into account a wide range of information, including measures of labor market conditions, indicators of inflation pressures and expectations, and readings on financial and international developments”. In December, the Fed observed that economic activity had been rising “at a strong rate”, whereas now it is rising at a “solid rate”. That change in wording may seem small, but it is a downgrade in assessment that is worth noting. In December, the Fed warned that “some further gradual increases would be needed”, whereas now it will be “patient” when determining what “future adjustments” may be needed (and most significantly, “adjustments” can be either rate increases or decreases). In addition to raising its policy rate, the Fed has also been trying to reduce the size of its balance sheet by allowing $50 billion worth of bonds that it purchased under its quantitative easing (QE) programs to run off each month. Economist David Rosenberg recently estimated that the impact from the Fed’s balance sheet reduction has thus far been equivalent to another 3.00% of monetary-policy tightening. Last week Fed Chair Powell indicated that the Fed may decide to end its balance-sheet normalization program sooner than expected, and this too was considered a dovish move. In a few short months, the Fed has gone from talking about steady rate increases and a balance-sheet reduction plan that would effectively proceed on “auto-pilot” (Fed Chair Powell’s oft-used phrase), to now preaching patience when considering additional rate hikes and speculating about an early end to its balance-sheet normalization program. As David Parkinson astutely observed, “in delivering a policy decision on Wednesday that held interest rates steady while walking back expectations for further increases, Mr. Powell borrowed more than a few pages from Mr. Poloz’s playbook”. It certainly looked that way to me, with the Fed emphasizing caution, reliance on the incoming data, and “patiently awaiting greater clarity”. 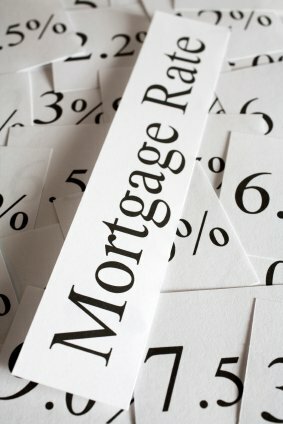 So what does this mean for Canadian mortgage rates? Our fixed-rate mortgages are priced off Government of Canada (GoC) bond yields, which are tightly correlated with their U.S. equivalents, and investors in the U.S. bond futures markets are now betting on no Fed rate hikes in 2019 and at least one Fed decrease in 2020. While actual U.S. bond yields haven’t fallen too much thus far, they should drop as the Fed’s more dovish assessment becomes more entrenched. If that happens, expect GoC bond yields, and our fixed mortgage rates, to move lower in sympathy. From a variable-rate mortgage perspective, it is extremely unlikely that the BoC will raise its policy rate for at least as long as the Fed is on hold. To be clear, the BoC has adopted its own cautious stance for the time being anyway, but the Fed’s newly altered view now essentially takes the choice out of their hands for the foreseeable future. The Bottom Line: The Fed used its meeting last week to signal a fairly sharp turn in its monetary-policy outlook. In a relatively short period of time, its view shifted from “full steam ahead” to “pause and assess”. For the reasons outlined above, the Fed’s dovish policy view should put downward pressure on our fixed mortgage rates and should also prevent the BoC from raising our variable mortgage rates for at least as long as the Fed’s cautious view is maintained.